Do you want to know why your website is not appearing on page 1 of Google? Has your traffic growth slowed down or even declined and nothing you do reverses the trend? Are you afraid to implement SEO tactics on your website for fear of getting penalised by Google? Are you simply just too busy to implement the necessary SEO changes on your website? Where Does The Free Consultation Take Place (Skype, Phone or In-person)? The free consultation will take place over a Skype video call. We recommend that you make yourself a nice cup of coffee and after a brief introductory chat, we will share our screen of your website and go through every SEO issue we have identified. Once the consultation is over, we will send you a PDF report of all the SEO issues covered in the consultation. Am I Obligated To Buy Something Once The Consultation Is Over? How Long Will The SEO Consultation Last? It really depends on the number of issues identified, but usually, the video call lasts between 30 and 60 minutes. We believe this will be the most informative consultation you will have this year, with lots of great take away action points to grow your business! We not only cover SEO issues but any other digital marketing issues which we believe is holding back your business from being even more successful. See How One Of Our SEO Client's Traffic Increased In One Year! If you are looking to get traffic to your website but cannot seem to get it to work, then you have an SEO problem. This means your website is not optimised for search engines, like Google or Bing. Thankfully, it can be fixed and usually the results can really transform a business. Each page on your website is a virtual doorway to your business. If Google cannot see your website or determine what it is about then you have unfortunately, no chance of getting traffic to your website. 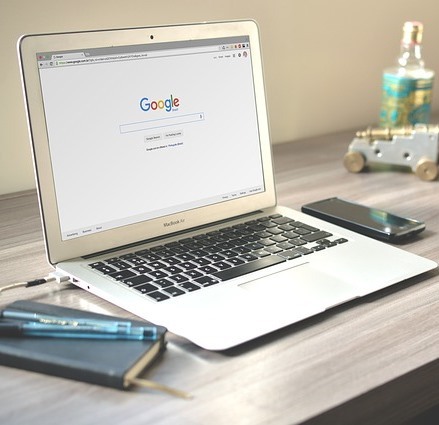 Google ranks each page on your website individually, therefore to improve your Google Search rankings, you must ensure you set up each page in a way that complies with Googles best practice guidelines. Here is an example of some of the factors which affect your rankings: Keyword Research and Placement, Creation Of Robots.txt file, Sitemap Creation & Submit To Search Engines, H1, H2 ,H3 Tags, Canonical URL Placement, Duplicate Content Checks, Broken Links Tags & Website Speed to name but a few. Can you guarantee page 1 rankings on Google? No, we cannot guarantee page 1 rankings on Google as they use over 200 different factors to determine who ranks where in their search engine. However we can tell you with high accuracy if your current pages (after being SEO optimised) have any chance of ranking on Page 1. We do this by analysing the target keyword of your web page and the current competition levels on page 1. If your target keyword or phrase is too competitive, we look for easier to rank variations of that particular keyword or phrase and restructure your page to target that instead. How long before you expect to see your website ranking in Google search engine? It depends. If you site is older than 1 year, then you should see your rankings improve within a couple of weeks of our service. If your site is new, then expect to have to wait a bit longer (between 3 to 6 months) to start seeing big gains in your organic search traffic. Currently Google gives extra ranking credit to older websites. How long does it take to implement changes after an SEO review? It can take between 1 week to 1 month to implement the recommendations of an SEO review/check up. It all depends on the size of the website.